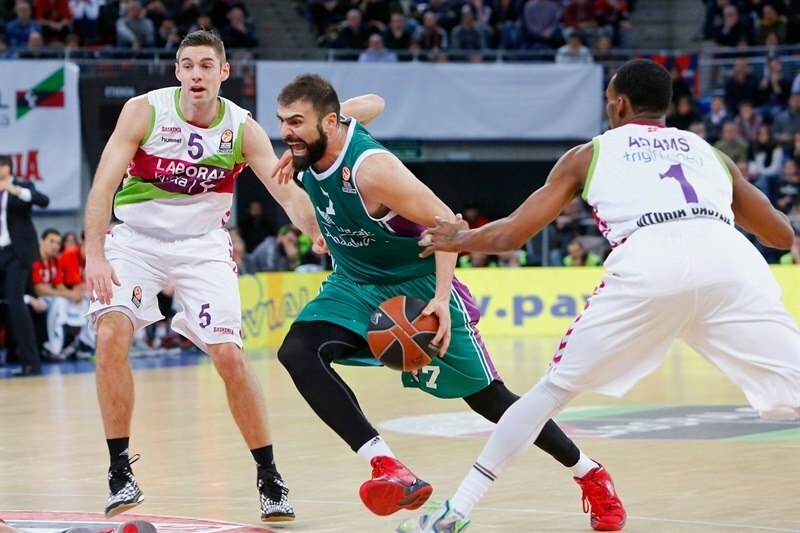 In an all-Spanish showdown, Laboral Kutxa Vitoria continued its strong play on its home floor by holding off Unicaja Malaga 79-74 on Friday night. A third consecutive home victory sent Laboral to the fifth place in Group F with a 3-4 record to keep its playoff chances intact, while Unicaja dropped to 1-6 and last place. 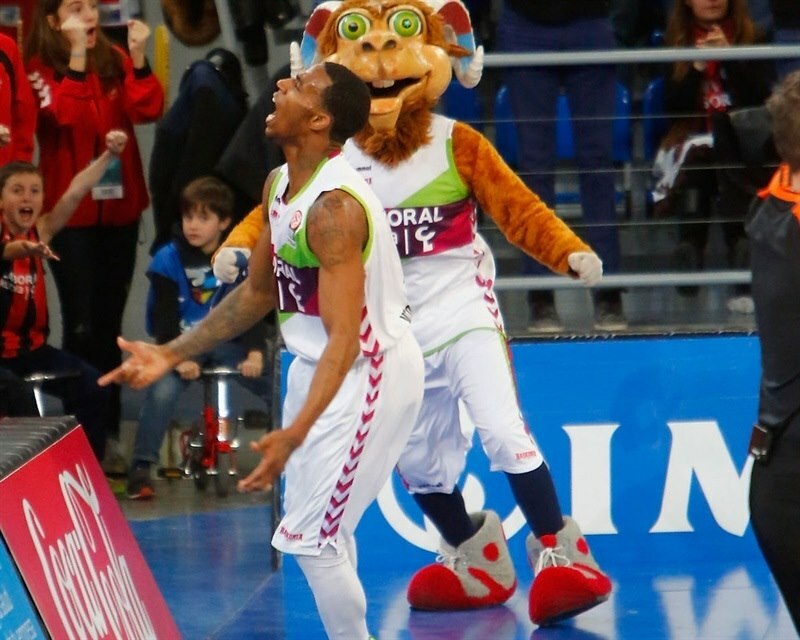 Darius Adams got Laboral going in the first half, and the hosts took control, but did not pull away until three consecutive three-pointers from Fernando San Emeterio, Adams and Fabien Causeur opened a 65-54 lead late in the third quarter. 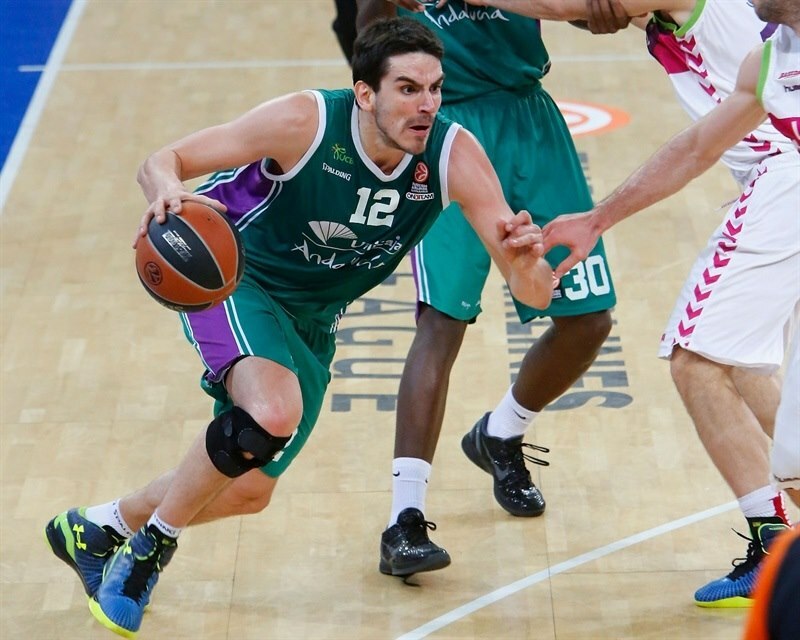 The hosts never relinquished it, holding off Unicaja’s late charge. Adams paced the hosts with a career-high 20 points and 5 assists, while San Emeterio, Causeur and Tornike Shengelia had 12 apiece in victory. Mindaugas Kuzminskas scored 12, while Kostas Vasileiadis and Jayson Granger each added 11 in the losing effort. 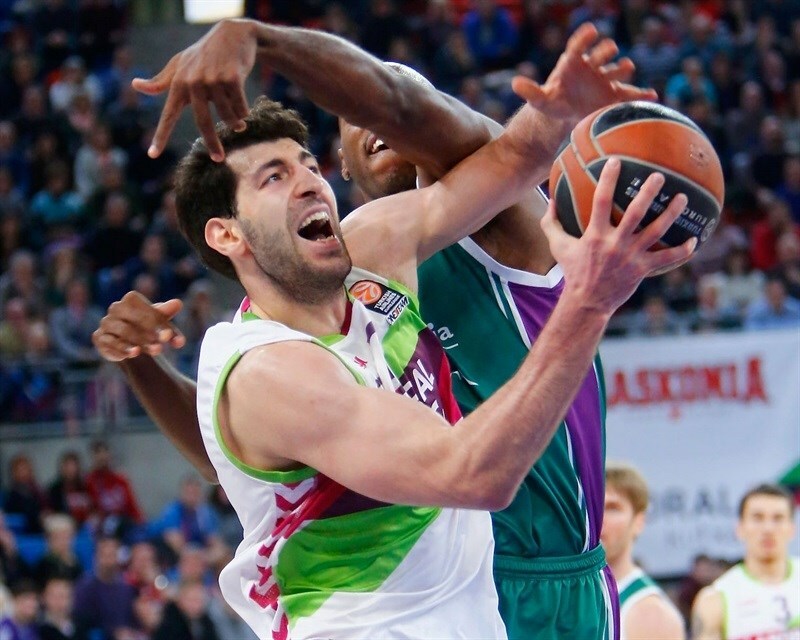 Vasileiadis and Causuer traded three-pointers to open the scoring, and after Shengelia drove for a dunk, Caleb Green hit another three for Unicaja. But Davis Bertans scored a floater for the hosts, followed by Adams hitting a jumper. 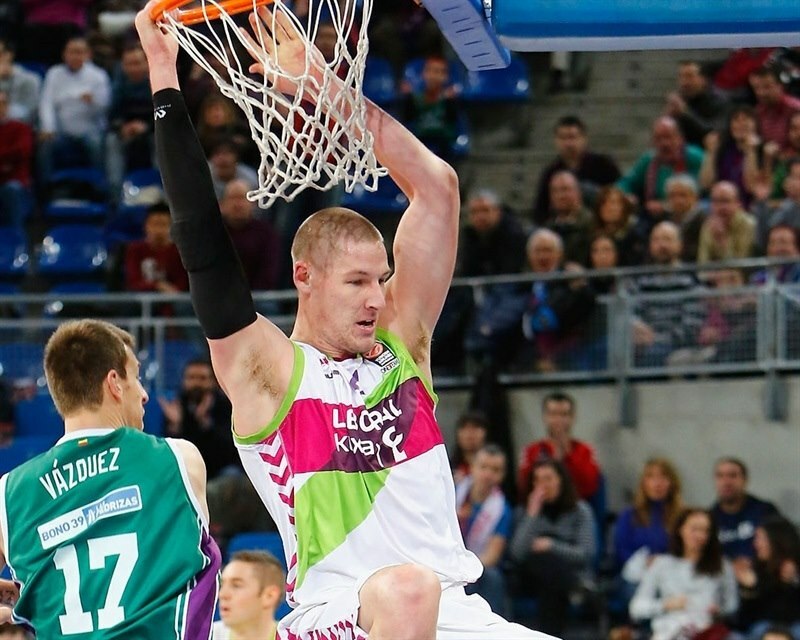 Laboral’s run continued with Bertans and Colton Iverson each throwing down a big dunk to make it 13-8. Vasileiadis hit a long jumper to snap the run and Mindaugas Kuzminskas scored an easy layup. The visitors tied it with Green splitting free throws, but Adams scored a layup and a pull-up triple for an 18-13 advantage. 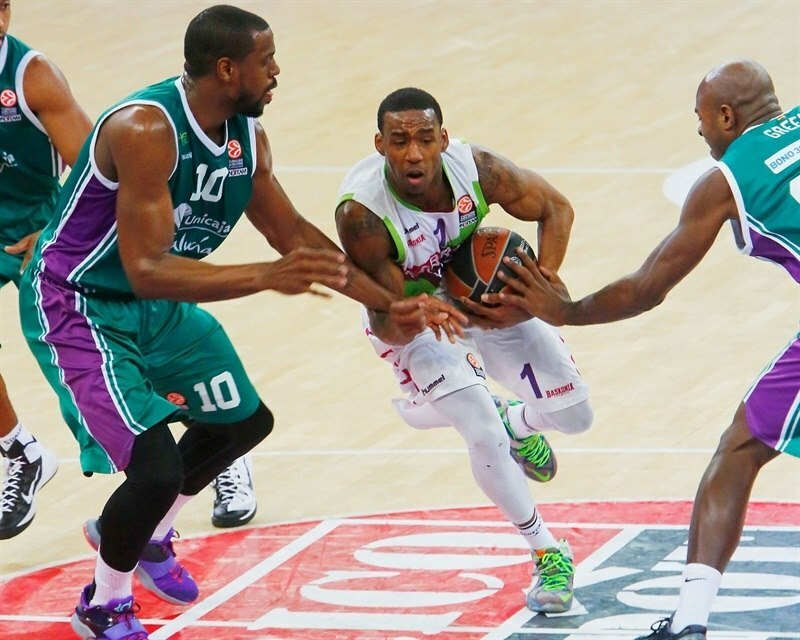 Green had a put-back, but a three-point play from Shengelia extended Laboral’s lead to 23-15. A layup from Jon Stefansson and a jumper from Kuzminskas halved the deficit. Causeur drove to the hoop to add to the hosts’ tally, and after a layup from Granger, San Emeterio scored from close range to give Laboral a 27-21 lead. 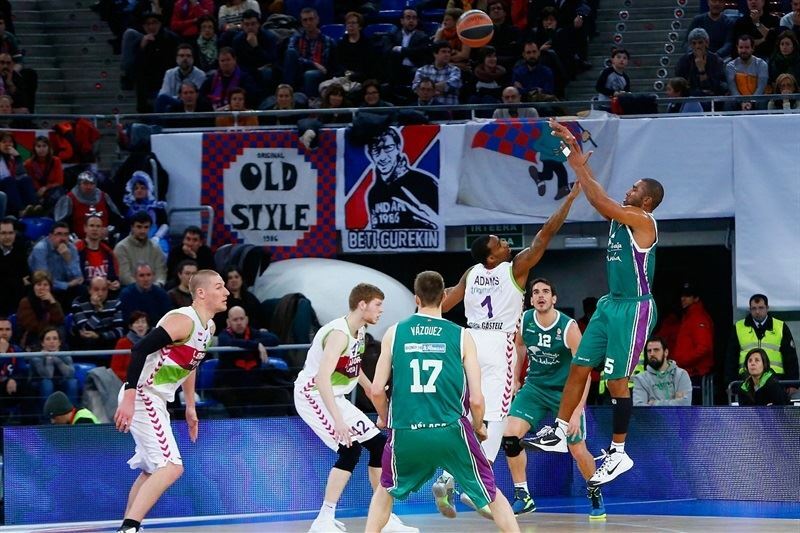 Granger hit a jumper for the first points of the quarter as Unicaja solidified its defense, coming up with a steal and forcing a shot-clock violation. But Mike James made a steal on the other end and raced for a thunderous dunk. And after Granger knocked down another jumper, Causeur drove the baseline for a layup that made it 31-25. Unicaja closed the gap with a layup from Carlos Suarez and fingernail tip-in by Will Thomas, before Granger nailed another jumper to tie it at 31-31. Kim Tillie made a pair of free throws to put Laboral back in front, before Ben Hansbrough drove for a layup high off the glass. Adams had a steal and raced for a basket, extending the lead to 37-31, before Granger and Hansbrough traded driving layups. A floater from Markovic cut it to 39-37, but entering a busy final minute, San Emeterio answered with a corner triple. Golubovic cut back the deficit with a put-back, and after Adams made a quick score from close range, Golubovic finished the half with a put-back dunk to make it 44-41 at halftime. Thomas tied the game with a three-pointer, but a layup from Causuer and a wide-open triple from Shengelia made it 49-44. Suarez answered right back with a three-pointer, but both teams went on a scoring drought until a dunk from Iverson made it 51-47. But Thomas hit a jumper from the foul line and assisted Suarez for a fastbreak layup to tie things at 51-51 midway through the quarter. 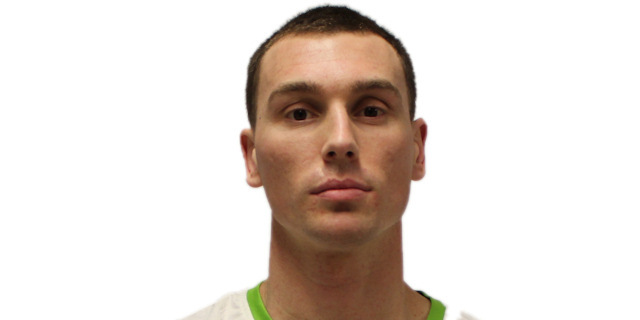 After a timeout, Ryan Toolson made a technical free throw for Unicaja lead, but it lasted briefly as Adams buried a triple for the hosts, and Shengelia scored a layup after a spin-move on the baseline to lead 56-52. Laboral went on to pull away with back-to-back-to-back triples from San Emeterio, Adams and Causuer, which opened 65-54 margin. 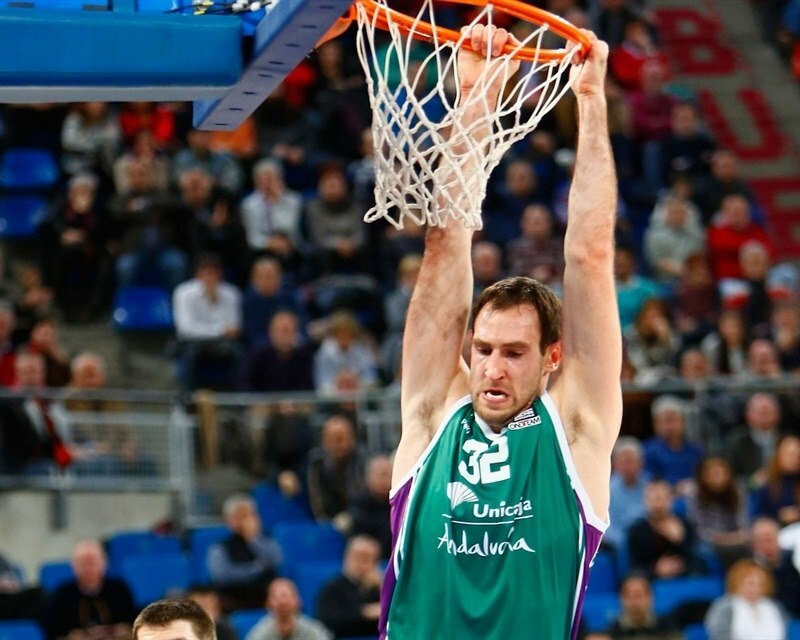 Kuzminskas made a put-back and Green an easy layup for Unicaja, cutting the deficit to 65-58. Tillie had an emphatic dunk and a steal in the first minute of the quarter before Hansbrough hit a three-pointer from the right corner that made it 70-58. Stefansson answered from downtown, but San Emeterio scored a short jumper to get the margin back to double figures. A pair of free throws each from Kuzminskas and Vasileiadis cut it the difference to 7 points, but Adams fed Iverson for an easy layup and a 76-65 advantage. 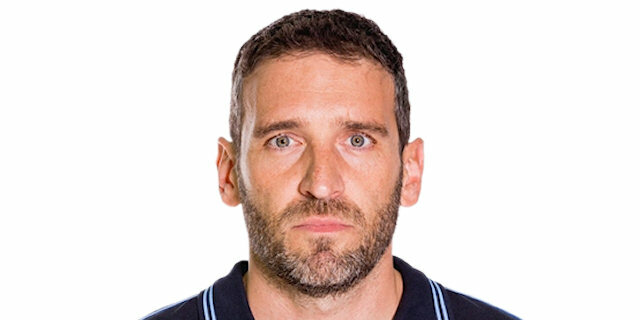 Laboral did not allow a field goal for more than six minutes until Thomas scored a layup, and Vasileiadis immediately stole the inbound pass and added another layup to get within 76-70 with 92 seconds to go. 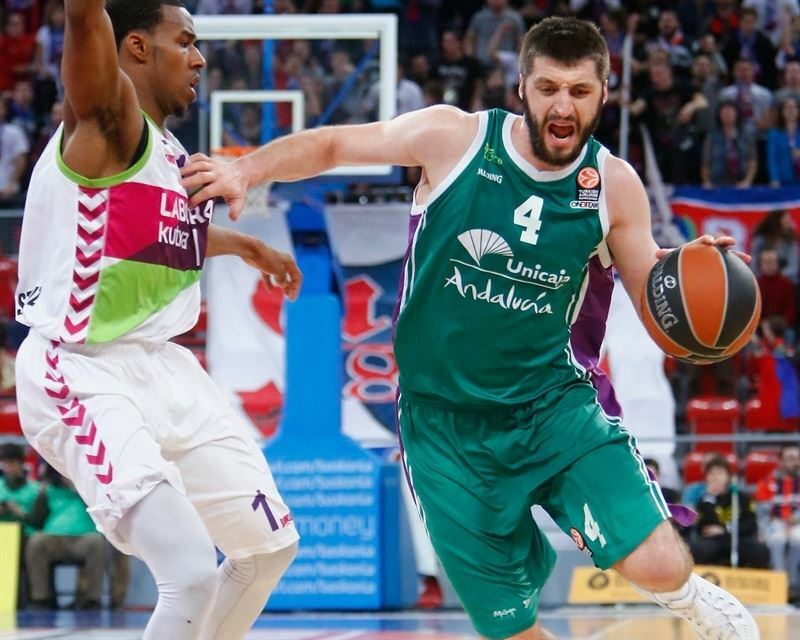 Unicaja forced turnovers on the next two possessions, and Vasileiadis hit a long jumper to make it a 4-point game, but Adams sealed the deal with a three-pointer, 79-72. Kuzminskas had a second-chance layup, but it was too little, too late as Laboral ran out the clock. 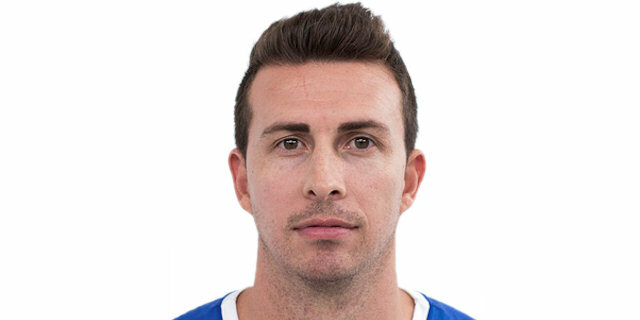 "We feel happy because we were able to win a very difficult and a very important game tonight. We prevailed against a team that beat us five out of the last six games we played. They never give up, but even though we didn't play our best game, we managed to keep playing tough and with strong personality. It wasn't an easy task today, as we found some problems in practices and we lacked some better rhythm, but being able to win when you are not so accurate is something good for a team's growing process. 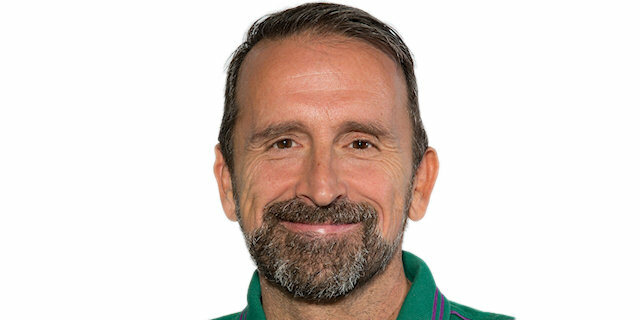 We knew that without Mirza Begic we had to use Ilimane Diop and play with Kim Tillie at the center position. We knew he was able to guard Fran Vazquez and they also used two power-forwards at the same time. I think that we raised the intensity and the aggressiveness level at that moment and that's why chose to finish the game with that structure." "The team that won tonight is the one that deserved it most, we have to congratulate them. We committed too many mistakes, granting them a lot of opportunities. We turned the ball over 17 times, and some of those mistakes came in crucial situations that we usually have under control. Our rebounding was a disaster in the first quarter; they showed more desire than we did. Each team won two quarters and the game was open until the very end, but I think they prevailed thanks to a stronger desire and because they were a little bit tougher. We have to analyze that, why we go through so many ups and downs during the game. We knew they are able to make big runs in a short period of time and we cannot disappear in those moments. We need to be more consistent. I'm leaving Vitoria with the feeling that we could have done more." "I think we got this one because we continued to fight, we passed the ball and made some key shots, and we put all the intensity we could find. I think we always can do better, tonight we couldn't be so brilliant in offense, which makes the games easier. I'm still trying to find my rhythm with the team and continue to get better and better. It's been a slow transition process for me, I'm trying to figure out how to be effective, using my intensity in defense and focusing on improving in that area." "We stayed into the game all the time, but with too many ups and downs. We couldn't find our rhythm in offense, and that was a factor in this loss. We were trailing for too much time and I think that made us lose our confidence in offense when we tried to come back. They made important shots that killed us in the end. We must think of the next game only, and forget about anything else at this moment, especially after having lost the last games in the Top16. I don't think that setting the top eight as our goal in the beginning of the season has been extra pressure. We wanted to be a little bit better than last season and we were very close to achieving that."